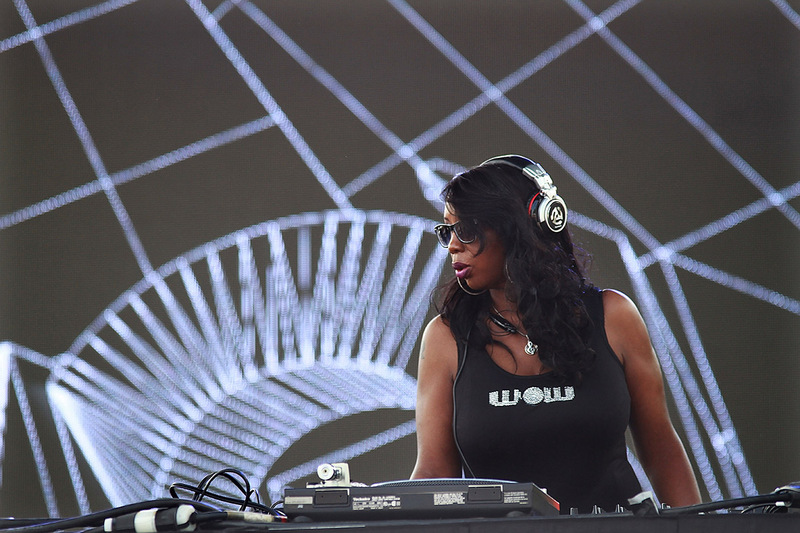 DJ Minx has stood at the core of Detroit’s club scene for over 20 years now. Motor City born and bred, the stalwart DJ, producer and Women On Wax collective/label founder, has stood as a champion for her hometown’s sound. Known to many as the “First Lady of Wax”, Minx – real name Jennifer Witcher – has hosted egular radio show on the sadly soon to be departed Red Bull Radio in recent years, with a focus always being placed on the sounds of Detroit. It’s an ethos she has carried with her from day one though, since starting to DJ in ‘90s and launching the all-female Women on Wax collective in 1996 to help platform emerging DJs in the city. Her music career grew rapidly from there, finding her locking a residency at the hallowed Club Motor as well as a regular slot on WGPR’s Deep Space Radio. In 2002, Witcher expanded Women On Wax to incorporate a label, on which she would go on to release a wealth of her own lush, minimal house music, as well as EPs from Viermalair, Diviniti and Animal Trax. Her own ‘A Walk In The Park’ (2003) would go on to be picked up and re-released by Richie Hawtin’s Minus label, featuring a remix from Ricardo Villalobos, among others. She has gone on to achieve legendary status, touring internationally and, naturally, being a regular fixture at festivals like Movement. In May last year, she was given the Spirit Of Detroit award for her "exceptional achievement, outstanding leadership and dedication to improving the quality of life" in the city, an honour that says she was “both surprising and heart-warming”. But she shouldn’t be surprised. An oft unsung legend of the Detroit music scene, DJ Minx’s influence can be felt clearly in the groovier, house-focussed corners of Motor City and far beyond. In the midst of busy touring schedule, this weekend sees DJ Minx playing Vujaday Festival in Barbados alongside the likes of Danny Tenaglia, Moodymann, Octave One and more. Promising a superb set of typically electrified house and tech house, she’s also looking forward to checking the other acts on the bill, she tells us. Below, we caught up with DJ Minx to talk history and house while she serves up a mix to get you ready for her set at Vujaday. Tell us about your history with music! How did you come to start DJing? What were the first records you fell in love with? The first party you played? The world of dance music was very different when you started Women On Wax. What was the response to there being a collective/label supporting female DJs/producers at the time? What were some of the biggest success stories that came out of the label’s early years? “There was a lot of support for the collective, although some people doubted it would grow. Venues were reluctant to give me space to have events, but it didn’t slow me down. I kept pushing to get exposure for all the girls in my crew. The label came later (2002). Moodymann was the reason I started Women On Wax Recordings. He supported me by helping me start the label and with ideas for releases. With players like DJ Holographic and others rising through the ranks out of Detroit now, it must be heartening to see so many young DJs doing well nowadays. Who are some of your favorite emerging DJs from Detroit? Visit Vujaday’s festival website here.